So many of you asked about my "target price" card: a short list of grocery items and the prices at which I stock up on them. Here's a perfect example of the pantry principle and price list in action. We have been scraping our last jar of sale-price mayo for a month now, waiting for the right price for a stock-up. We're a Hellman's family, but we also find Duke's to be nearly as good. This week Hellman's went on sale for $2.50. Duke's was priced even lower, at $1.50 (my target price point). Each jar is good through May 2008, so I bought enough jars to last us until then. Why buy ahead at this price? For one, you'll never make a grocery run for mayonnaise! But the savings are not insignificant. Let's say your family uses one jar of mayo each month. For ease of calculation, that's 10 jars through the expiration date of May. But wait! Let's investigate a common excuse. Why not just buy generic, save just as much, and not store 10 jars? You can get the brand you really want AND save $2.90, if you have room to store 10 jars. I might not give up a lot of pantry space for a five cent savings per item. Mayonnaise, on the other hand, is both shelf-stable and high dollar. $15 savings plus convenience makes it worth a pantry stock-up for my family. UPDATED: No sooner had I posted this than Publix marked Hellman's mayonnaise buy-one-get-one-free at $2.23...that's $1.11 a jar! (Of course, I also noticed that the jar had suddenly become slimmer at 30 oz instead of 32!) I'm going to amend my target price card to $1.25 for Hellman's. Thanks for sharing this insightful cost breakdown. I completely agree with you. There is such a satisfaction in gathering food for your family, at great prices, and then with it, preparing a great meal for them. Thanks for sharing this detailed explanation of how to stretch one's food budget. This scenario is exactly why I have become a loyal Grocery-Gamer. My Hellmans is $1.30 this week down from $3.69 at our local Kroger (combo of store sale, newspaper coupon, and additional store combo deal). And that is just one of the many products I will stockpile this week. My Ragu pasta sauce, softsoap, and shampoo and conditioner will be absolutely free. We save so much in our grocery budget - despite our family growing from 5 to 6, and the addition of diapers and pricey goat's milk the past two years, we spend much less than we did before. I like your idea of a "target price" card, I think I'll add a "target price" list to my food section of my home management binder. Thanks for being such a wealth of good ideas! I wish our grocery let you get money back! Their computer programs are too sophisticated for that and stop when you hit zero. I did have Duke's coupons for two of the jars. Must find a source for more coupons soon! This is great advice, Meredith! It is a wonderful reminder for stockpiling your grocery and health items. Thanks a bunch! We do keep some Duke's on hand for a cousin and nephew that love that best! Another great thing about mayo in the pantry is you can use it as a substitute for eggs when baking a cake from scratch! A target price card is such a wonderful idea! I have been working for months to figure out the best places/brands to shop for the best price, but I always am relying on my memory--which is not necessarily the best method! I will have to start working on one of these. Thanks for your constant thoughtfulness! And good mayonnaise (i'm a hellman's girl at heart -- although we don't get Duke's here) is so sublime, that I also think it's worth the extra little bit, especially if you are saving so much on the special anyway. Frugalmom, In your comment you mentioned substituting mayo for eggs in scratch cakes...but how much equals the other? I egg for 1/4 cup mayo? Does anyone remember? Thanks for the tip and thankyou Meredith for opening up this subject. I'd never heard of this brand..maybe it is a back East brand?? Or maybe I don't get out enough to see it :-)...Kraft Mayo here is 99c this week and I will be at the store as usual, to get some!! 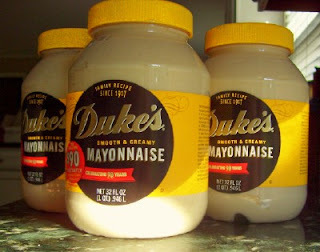 Duke's mayo originated in South Carolina. Most folks around here will only buy Duke's brand. Makes sense, Miriam. I first bought Duke's at Harris-Teeter, which is a Carolina chain. The other regional mayonnaise I like is Blue Plate (from the deep south), but I haven't seen that here in TN. One of my local chains has Hellmann's for $1.88 this week. I'll use the .50 coupons doubled and my final price will be .88 a jar. A **Great** stock up price for me! Angie, that's awesome! I usually try to wait until Hellman's goes to $1.50 to stock up, but I must have been out of town this summer during that sale. Never has our existing jar of mayo been scraped so clean! I set up a price book that turned out to be more elaborate than I'd ever use realistically. I read your tip about using a simple card for prices in an earlier post. I'm going to start one now. That was a good money-saving tip. We moved to Texas from NC, where Duke's was the only thing my family ever used. SO, on our last trip back "home" we bought 6 of the economy jars to last until our next trip back. This practice also guarantees me a trip back to NC twice a year. :-) But, I will definitely have to use my new coupon knowledge on something else. Sorry I haven't come back to check this before now, maybe you won't even see this Anna, but it's 2 tbsp mayo per egg, my book says when a recipe calls for 2 eggs and you just have one you can substitute it that way. I have a couple recipes for Mayonnaise cakes that use mayo instead of oil and eggs. 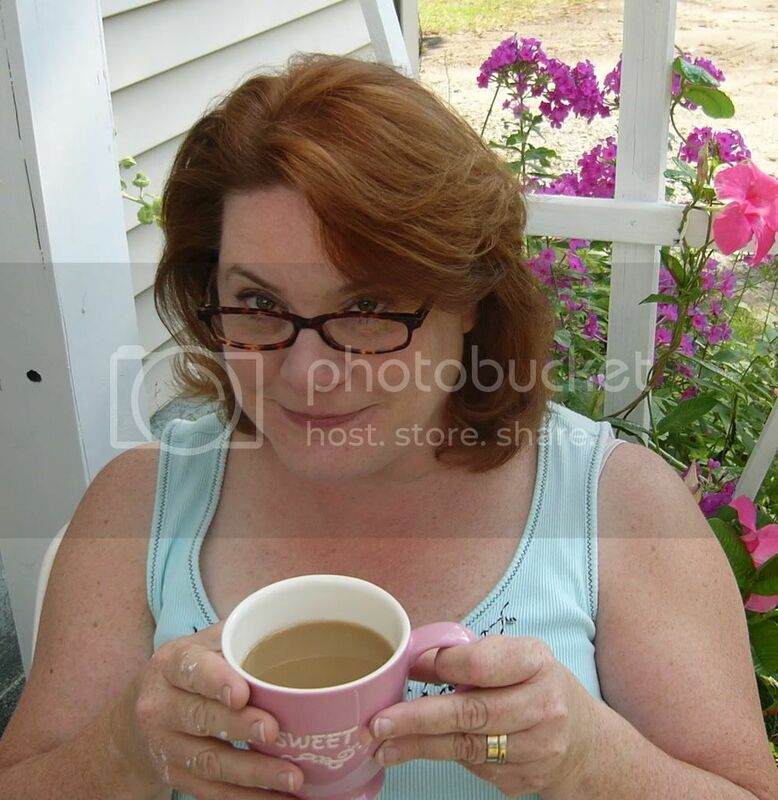 Meredith, I really enjoy your blog, it is always so positive and uplifting. 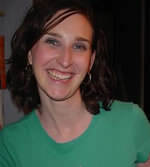 Love your blog, will be visiting often. Just thought I would share some tidbit of info-go to this site for an excell sheet pricebook. This would be handy for those who have handheld devices like palms--I plan to check your card idea out--Do you have any suggestions for how you don't go overboard on the sales--I struggle with deciding to go over budget or not for a good deal.